Being a Driver-partner just got better! As Driver-partners, you are our most valued partner. That is why we designed GrabAllStars, so we can recognize the winner that you are and celebrate your contributions. 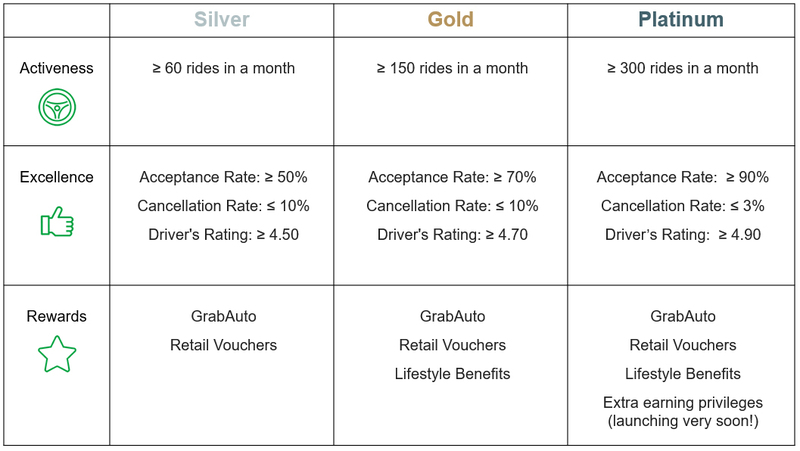 Through this new Rewards Program, we hope to provide you with benefits to support your costs of driving with Grab (e.g. fuel, car maintenance) and other living costs (e.g. telecommunication, online shopping). 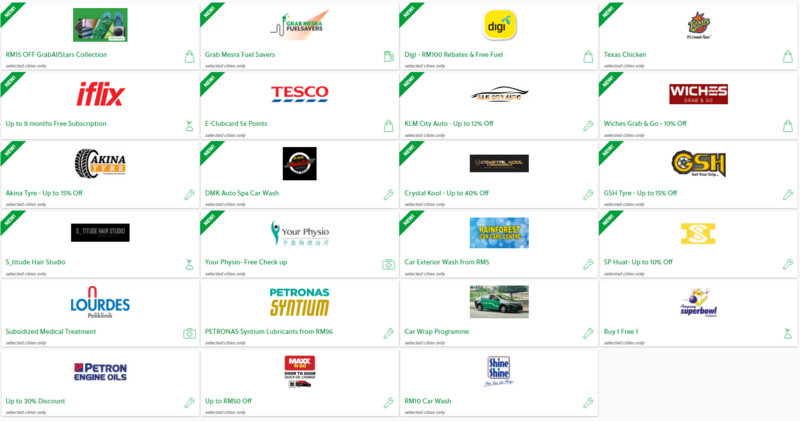 We have secured exclusive deals to make driving more profitable, and other goodies to reward your efforts even when you’re not behind the wheel! GrabAllStars will replace the existing Grab Platinum Partner Programme. GrabAllStars is a tiered program. This means the higher tier you are in, the more rewards and benefits you will unlock. This program is refreshed on a monthly basis on the 5th of every month. GrabAllStars is currently operating nationwide. We are working to bring you more partners in the future! Each tier is awarded based on three main criteria. Criteria that we see in an AllStars Driver-partner! Updated requirement below is effective 19 March 2018. Potentially more benefits for you in the future as we expand our list of external partners. All new Driver-partners’ GrabAllStars account will only be available on the GrabAllStars website on the 5th of the following month after they’ve signed up as Driver-partner. How do I log in to my GrabAllStars Rewards account? Here’s a tutorial on how to login and redeem exciting rewards! Excited to see our Rewards? Log in now at http://graballstars.com to see what rewards we are offering!